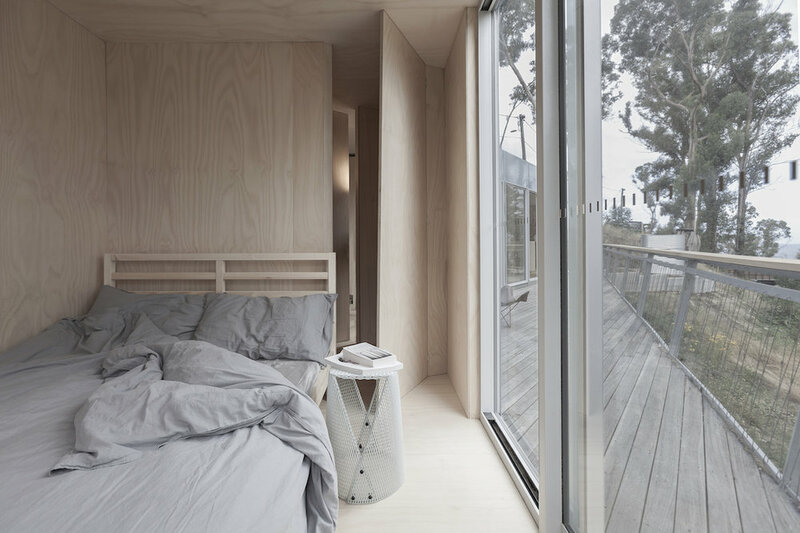 A container house on the Surf Coast in Wye River, Victoria. Designed as a weekend retreat & made from three 20ft shipping containers. A green roof planted with native dichondra sits above providing additional thermal insulation & blends into the surrounding landscape.